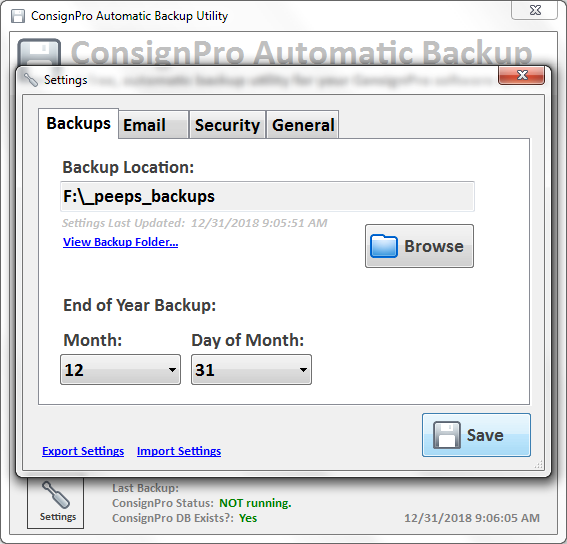 Now, the reason ConsignPro wants this, is because ConsignPro deletes/purges data every day when you close it. 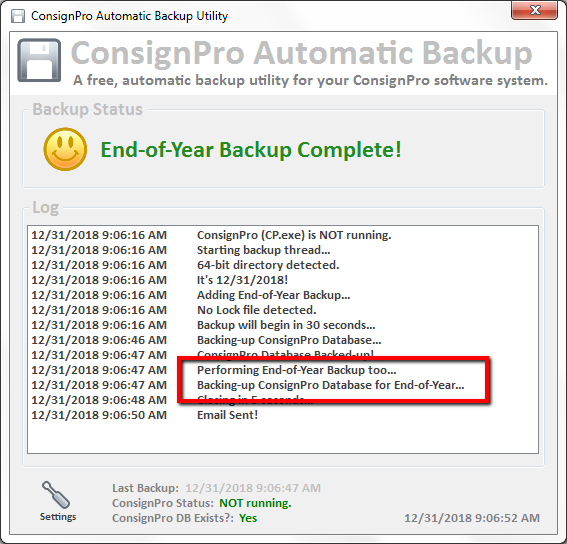 As you roll into the new year, your consignor account history, is deleted. 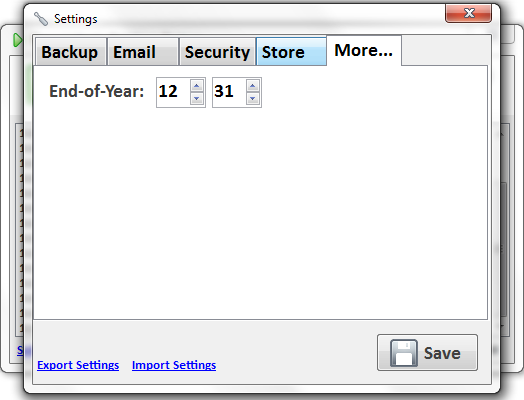 To be able to ‘prove’ to a consignor that they used store credit last year, you’d have to have a backup to restore. 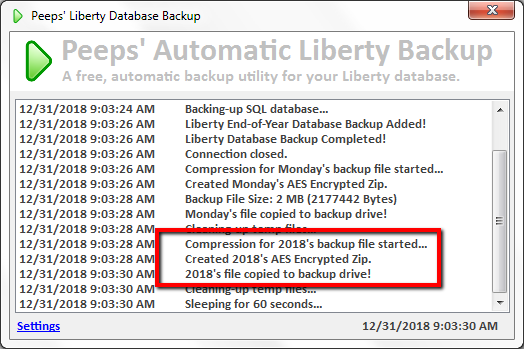 For those on Peeps’ Consignment Software or Liberty consignment software, we also do an an end-of-year, but not for the same reason. 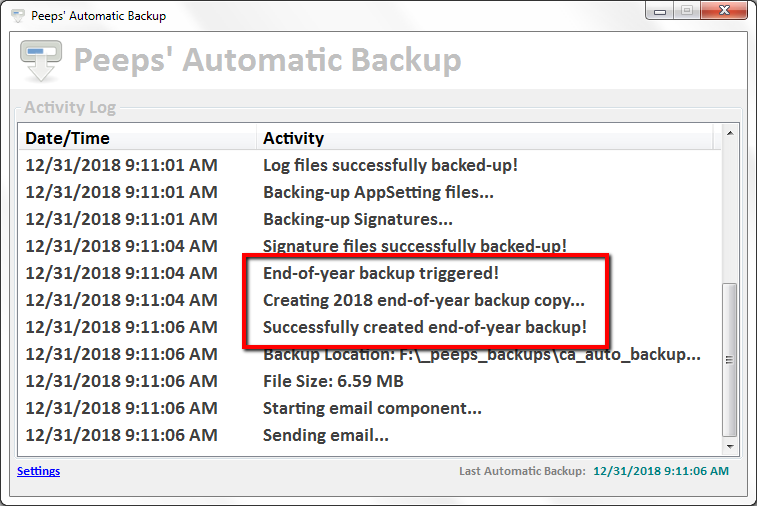 Over the years I’ve learned that having an end-of-year backup, has come in handy when a store is audited, or if the storeowner decides to sell.